N64 rf switch. Condition is Used. Shipped with USPS First Class Package. Feel free to check out my other items since I combine shipping. N64 RF Modulator. 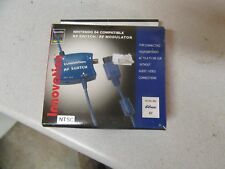 Up for your consideration: Official Nintendo 64 -- Power Cord RF Switch RF Modulator! 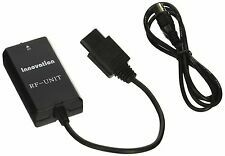 -RF Switch (can be used with NES & SNES as well). Authentic Nintendo. 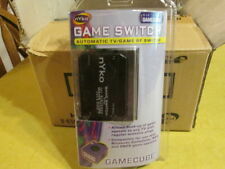 Up for sale Nintendo 64 N64 RF Modulator, SNES Super Nintendo OR GameCube -- NUS-003. In good cond. has been tested works great. Shipping will be $ 1.95.PAYPAL. RF switch for N64, Snes, Gamecube. RFU Adapter Cord TV Coaxil Super Nintendo N64 GameCube SNES AV Retro Cable RF. Condition is Used. Shipped with USPS First Class Package. Box is in great shape! Excellent shape! Condition: used in great shape, see pictures. The item you will receive. unaware of. CONSOLES & ACCESSORIES. RadioShack Nintendo 64 N64 Automatic TV/Game Switch Audio/Video RF Modulator New sealed (old stock). Packaging in great shape. 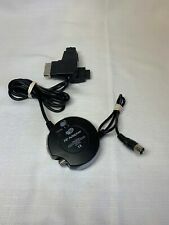 This works with N64 console but has similar connector and MAY work with snes or gamecube. Shipped with USPS First Class Package. Used but still in very nice shape. Has been cleaned & tested, works perfectly. Nintendo 64 N64 RF Switch / RF Modulator w/ Box - FAST SHIPPING! Up for sale is an original RF Modulator for the Nintendo 64 also works with Gamecube and SNES. This item is in Good Condition and has been tested and works. Includes FREE FAST SHIPPING. Any questions please contact me and thanks for looking. RF MODULATORS VERY CLEAN GOOD CONDITION. Nintendo 64 N64 OEM RF Modulator. Item Type: N64. 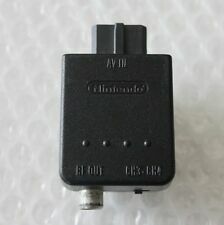 Title: Nintendo 64 RF Modulator Switch NUS-003. 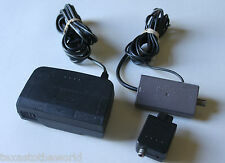 Details about the item: Very Good Condition Nintendo 64 RF Modulator Switch NUS-003. Platform: Nintendo 64. Signs of wear can include aesthetic issues such as scratches, and discoloration. Nintendo 64 N64 RF Modulator NUS-003 SNES Adapter Official Switch AV Module OEM. Condition is Used. No cord, just this modulator. Good overall condition. Sold as is. Included with this listing is everything shown in the pictures. Please carefully review the photos. Please ask any and all questions prior to purchasing on the item. I am here to help. Nintendo 64 / N64 RF Switch Modulator / NUS-003 AdapterAV Module OEM in Box - Australia/New Zealand. RF Modulator: NUS-003. 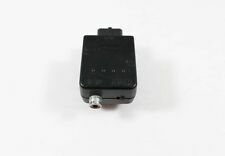 RF Switch Model: SNSP-003. Both are tested and working.